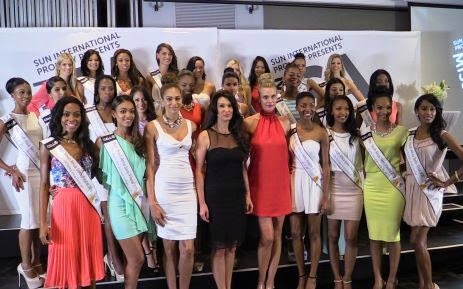 Three contestants of the 2015 Miss South Africa Pageant earlier shortlisted to partake in the beauty contest scheduled to take place March next year, have been disqualified for having visible tattoos. The contestants, Kelly Davids, Altina Vries and Aseza Matanzima were disqualified by the pageant organizers for not indicating in their entry forms that they had tattoos. Speaking on their disqualification, the pageant organizer, Claudia Henkel said that Kelly has a tattoo on the back of her neck which is visible when her hair is up, Altina has a tattoo across her left shoulder blade and behind one ear, while Aseza's tattoo runs across a rib and goes underneath her left arm. Claudia said although Aseza had declared during her on-camera interview that she had a tattoo, she did not indicate that on her application form.